We are a group of passionate individuals who are concerned about the well-being of the environment. Operated by HML International Group Ltd, Green Buddy is a new brand that is specifically designed to be eco-friendly. We aim to bring everyone a greener life. Therefore, all our products are made from natural materials. By doing so, we can deliver environmental messages to each individual through our products and services. In 2010, we became a member of HKGPC meaning that we purchase and use of "green" products and services produced, offered and consumed in environmentally responsible manners. At the same time, the quality of life and the natural environment will not be affected. 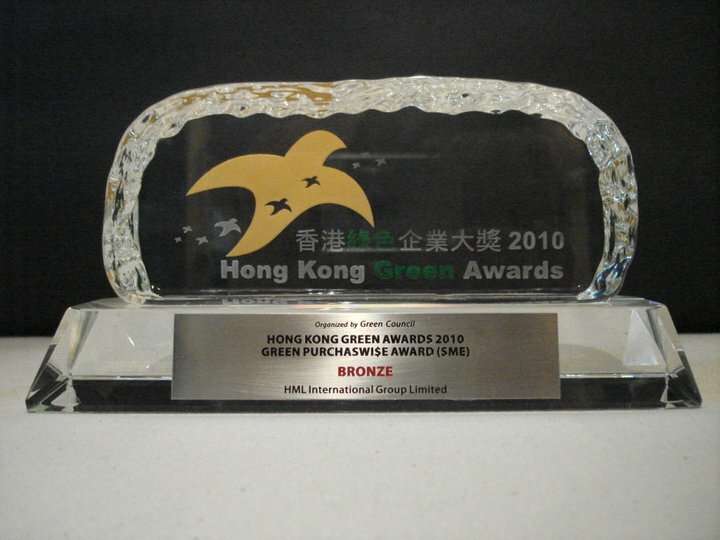 On Dec 20, 2010, we were granted with Hong Kong Green Award (Bronze) as an recognition on green purchasing and reducing the environmental impact through making practical environmental improvements to the office management operations or procurements. As a socially responsible company, we are committed to serving our community. Recently, we have participated in various charity activities regularly to support people in need. Don’t underestimate yourself! If every one of us puts an effort and goes one step further, we can change the world!